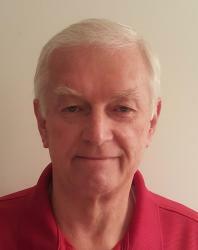 Ford Performance continues to show their muscle, big track or small. Joey Logano(22) won the pole for today’s STP 500 at Martinsville Speedway. The Mustangs of Aric Almirola(10), Brad Keselowski(2), and Kevin Harvick(4) qualified 2nd through 4th. 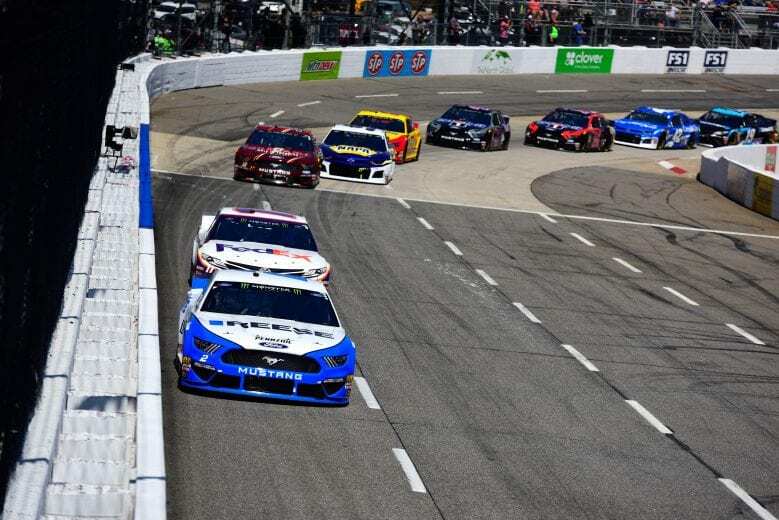 After finishing 2nd through 5th last week at Auto Club Speedway, Ford fans expectations are high for today’s 1st short track race of the Monster Energy NASCAR Cup Series season. 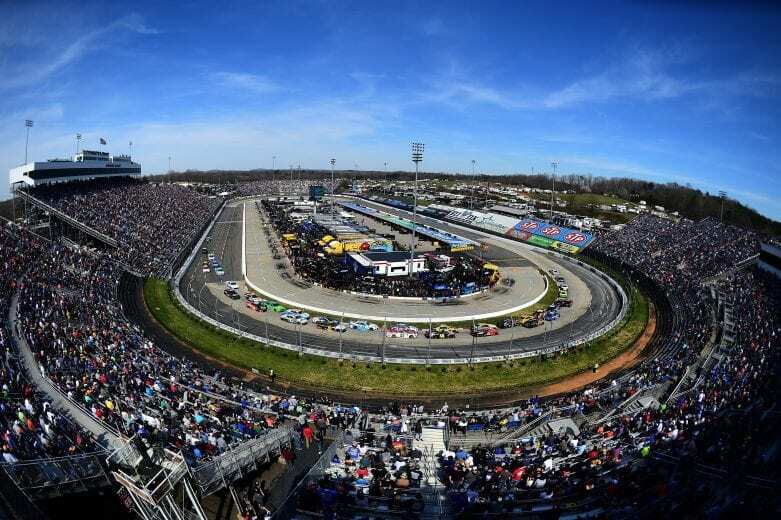 Stage lengths are 130/130/240 around the paperclip-shaped speedway. But, manufacturer cooperation is not as big a factor on the half-mile track as it is on speedway’s where drafting matters. Of course, short track racing increases the amount of contact between race cars. Logano performed the perfect bump and run last fall to move Martin Truex Jr.(78) out of the way. Logano qualified for the Championship 4 and ultimately won the Championship as a result of his Martinsville victory. Can something similar happen today? You bet! Every lap someone is nudging a competitor to improve their position. Will it happen on the last lap? Hope so. It did not take long for the on-track action to heat up. Keselowski bumped teammate Logano on Lap 7 and drove underneath him to take the lead away from the pole sitter. Logano dropped a few more positions with handling issues. but was able to remain in the top 10 at the end of the Stage. 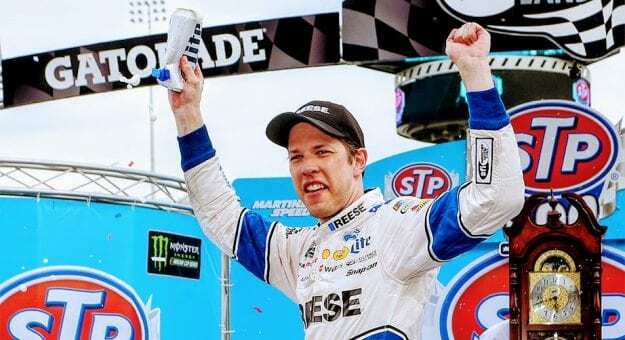 Keselowski drove off to the Stage 1 win, his first Stage win of the year. Keselowski, 1st out of the pits maintained the lead when the green flag dropped on the start of Stage 2. He was followed by Chase Elliott(9), Denny Hamlin(11), Ryan Blaney(12), and Clint Bowyer(14). Almirola fell out of the top 5 with a pit stop just a tick slower than the leaders. Ross Chastain(15) lost a rear axle and dumped axle grease on the track. Almost causing Elliott and Kyle Larson(42) to wreck when they got their right side tires into the fluid. A brief caution waved on Lap 145 to clean the track. Back under green and Keselowski shows his dominance by pulling away and leading every lap in Stage 2. With Blue Oval Ponies holding 7 of the top 10 spots the guys from Dearborn are dancing in the streets. Well that, and spring has come to Michigan. 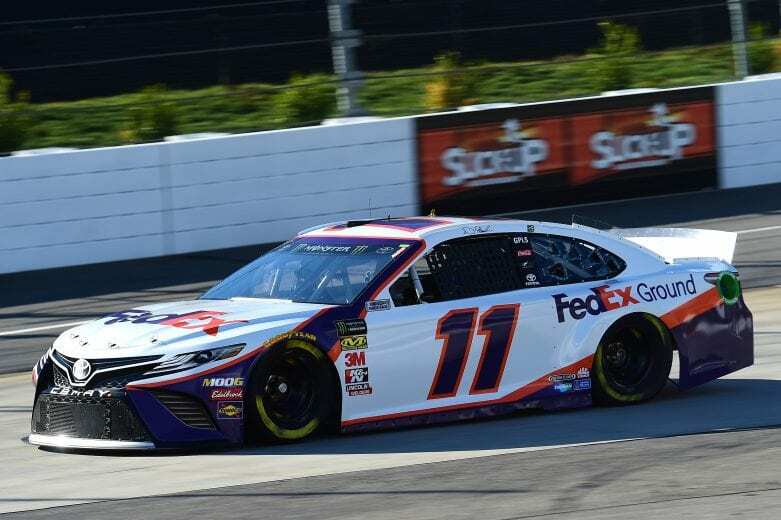 Denny Hamlin had an uncontrolled tire during his Stage ending pit stop and dropped from the top 5 to the end of the lead lap after the penalty was assessed. Keselowski again led the field off pit road, followed by Elliott, Bowyer, Truex, and Almirola. Ty Dillon(13) and William Byron(24) got together coming out of turn 4, bringing out the caution on Lap 311. During pit stops, Bowyer was too fast entering pit road and will restart the race in 21st position. Keselowski and his crew are again perfect. Exiting pit road first and maintaining the lead. With 176 laps to go someone other than a Team Penske driver led a lap. 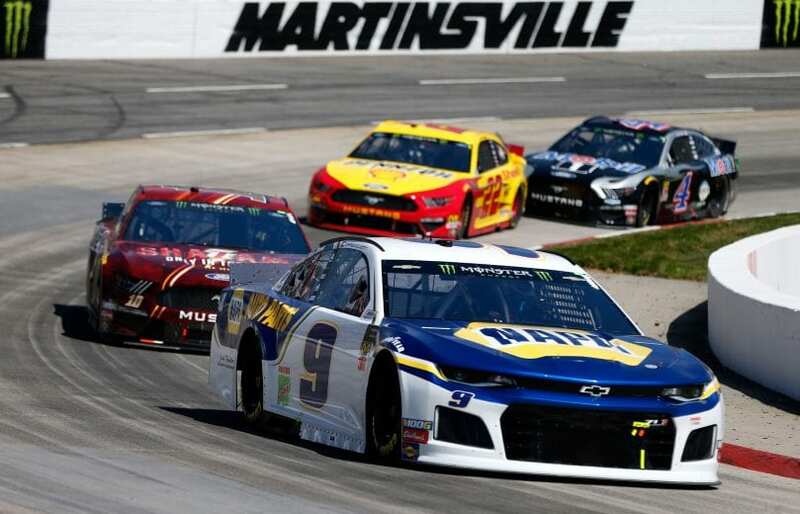 Chase Elliott dove underneath Keselowski for the top spot. It was the first time this year NASCAR’s most popular driver led a lap. Keselowski had led 319 laps before being passed. Matt Tifft(36) tapped the wall in Turn 2 bringing out the caution on Lap 371. After pit stops Keselowski resumed the lead beating Elliott out of the pits. Kyle Busch(18), Blaney, and Harvick round out the top 5 for the restart with 120 laps to go. A slight chassis adjustment on his pit stop seemed to bring Keselowski’s car back to form. He drove away from Elliott when the race went back to green. 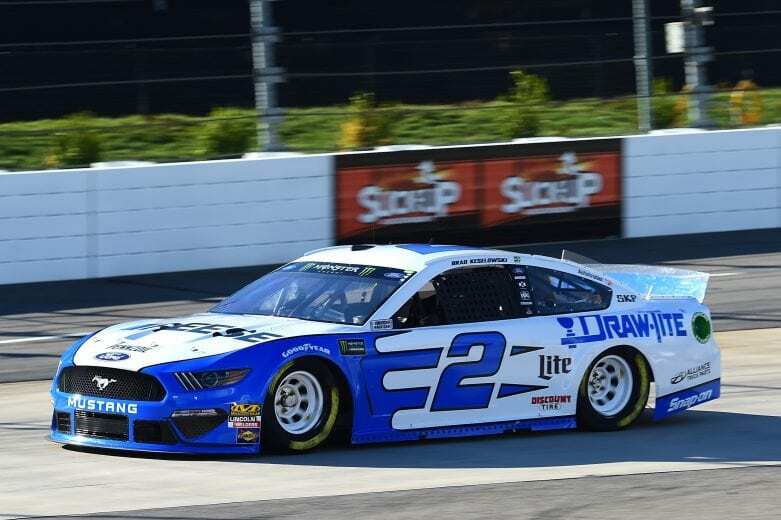 Keselowski consistently built his lead until Ross Chastain again brought out the caution with 55 laps to go after another issue with his car stalled it on track. The race off pit road was won by Keselowski, followed by Kyle Busch with Elliott 3rd. Keselowski drove off with the lead while Elliott passed Busch for 2nd. With 25 laps to go the top trio were virtually bumper to bumper. But, as they hit lapped traffic Keselowski pulled away. Leading 446 laps to win his 2nd grandfather clock as the victor at Martinsville Speedway. Next week its the O’Reilly Auto Parts 500 from Texas Motor Speedway.